Long time residents of Chennai would for sure have shopped at this landmark store in Dr Radhakrishnan Salai and those of us who passed by recently would have noticed the change too....... it is ‘Nilgiris’ - once South India’s leading chain of retail stores providing consumers a shopping experience that hinges around freshness of produce, superior quality and better value. Its web claims that from humble beginnings in the hills around Ooty and Coonoor at the turn of the twentieth century, Nilgiris has grown from being a Dairy Farm specializing in butter to a supermarket chain of over 90 stores spread across India’s southern states. It is a shop chain that lays special emphasis on its own products, sold under the brand name of Nilgiris 1905. The origin of this supermarket chain is traced back to Muthusamy Mudaliar of Erode who once carried letters and cheques for the British from Coimbatoreto the hill stations of Ooty and Coonoor. He ventured a small shop in 1905, after buying the butter business of an Englishman in Vannarpet and soon, "The Nilgiri Dairy Farm Ltd." was established. The Nilgiri Dairy Farm Ltd. specialized in dairy, dairy products, bakery and chocolates. 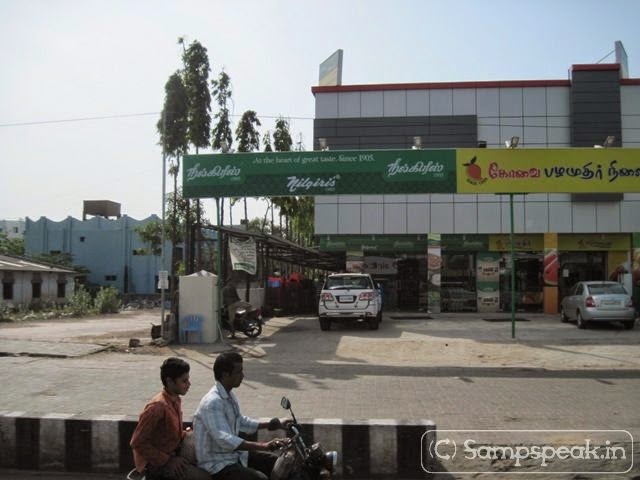 It soon blossomed into a Supermarket with many branches in Chennai and other cities. Today at Old Trafford MSD is having selection worries – primarily on which combination of Indian bowlers can take 20 wickets in a Test ! Ishant Sharma is injured, Bhuvneshwar Kumar appears tiring – Shami not taking wickets, Pankaj Sharma hit by dropped catches and ill-luck, Jadeja lack-lustrous when parttime Mooen Ali took it by buckets – will Ravichandran Ashwin play and Varun Aaron steam in fast again since his debut in 2011 – also whether Shikhar Dhawan be dropped, replaced by Gautam Gambhir or will Rohit retained – Qs and more Qs – as England camp is smiling – smarting with a win and James Anderson bowling well and let off with no punishment !! The BCCI had awarded series-title sponsorship rights for home international matches and domestic fixtures in the 2013-14 season to Star India Pvt Ltd for a base price of Rs 2 crore (approx. $320,000) per international match. The deal is substantially lower than the previous contract with Bharti Airtel. Besides the volatile financial market, one of the other factors behind most of the major companies opting against showing interest in the rights was the timing and duration of the deal. Now comes the report that BCCI has retained a base price of Rs 2 crore (approx. $328,000) per international match while inviting bids for a series title sponsor for all the international games and major domestic tournaments in India over the 2014-15 season. The bids will be opened on August 28 in the presence of all the bidders and the invitation to tender documents are available at the BCCI office in Mumbai for Rs 2 lakh. 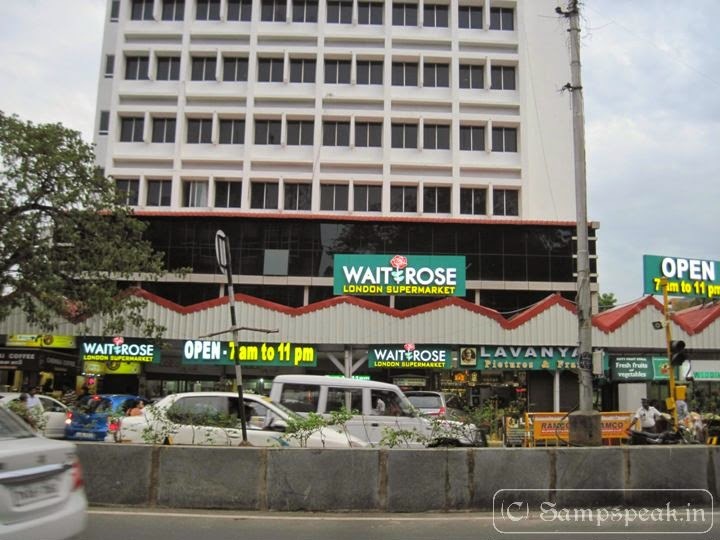 In busy Chennai, one sees Waitrose at the place where the famed Nilgiris operated. The London-based supermarket chain called Waitrose has expanded into Luz Church Road, Alwarpet. Their Dr. R. K. Salai road branch opened in Jan, this year. The store’s aisles comprise of Indian and imported readymade goods, packaged products, drink concentrates, an extensive section for chocolates, and separate sections for dairy, fruits and vegetables.... and yes they are the Team sponsor for England Cricket Team. 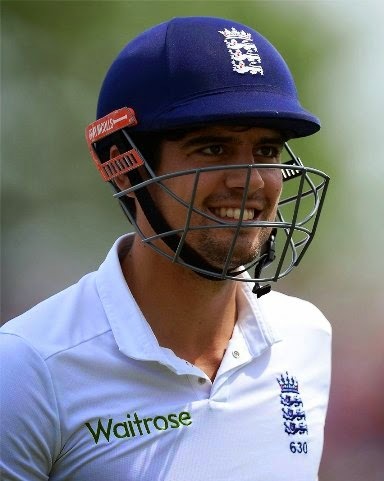 Waitrose signed a ground-breaking three-year deal with the England & Wales Cricket Board and the Waitrose logo will feature on all England teams playing and training wear from the Investec Test Series against Sri Lanka onwards till SA tour in 2016. Waitrose, Britain's favourite supermarket, has 291 branches throughout England, Wales and Scotland. Waitrose has replaced Brit Insurance as the primary sponsor of the team. The deal between the England Cricket Board (ECB) and Waitrose is thought to be worth around £20m. Away from Cricket a report in Daily Mail states that Waitrose is hit by supermarket price war sparked by Aldi and Lidl as upmarket store and is forced to issue second profit warning in three years. Offering free coffee and newspapers may have proved popular with some shoppers – but Waitrose’s loyalty scheme has not been enough to save it from the vicious supermarket price wars. The upmarket store had appeared to be immune from the supermarket shake-up that has seen the ‘big four’ – Tesco, Asda, Sainsbury’s and Morrisons – lose out to increasingly successful budget rivals. But Waitrose’s ‘substantial investment’ in the giveaways has come at a price, and recently the chain issued its second profit warning in just three years. Waitrose has issued a warning to staff ahead of sales figures due to be released next month, saying that profits will be impacted because of investment in the business. Concerned by the profits being affected loyalty card scheme, the MD took the unusual step of writing to his staff to warn them on the impacts. Shoppers with a my Waitrose card – which was introduced in 2011 – receive a free coffee, including cappuccinos, lattes and mochas, even if they do not buy anything else. They also receive a free copy of most daily quality newspapers if they spend more than £5. The scheme, which has more than 4million members, has been so successful that it is estimated the chain gives away 1million free cups of coffee and nearly 1million newspapers each week. Things are not as rosy for the Team sponsor ~ as how the Team performs at Old Trafford remains to be seen. Waitrose has opened a new branch on Santhome High Road about 200 meteres away from Nilgiris in Foreshore Estate. It is yet to attract customers despite its over illumination and glaring publicity on its opening ceremony. Looks like localisation of a foreign merchandising can not meet the challenges of small vendors.